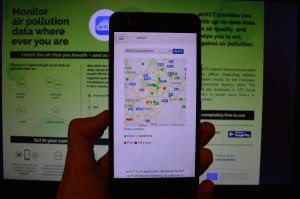 CAPTOR project launches airACT, a new application that informs about air pollutants in real time and helps to act against them. Air pollution cannot be seen but it is breathed. It is the main public health problem in our cities. The new airACT app aims to bring the problem of air pollution closer to the population in Spain and Austria. It does so by informing in an understandable way about the daily and hourly values ​​of the main air pollutants. Unlike other applications, the ranges have been established in four different colors based on the impact on health (according to WHO recommendations) and the legal compliance with the European regulations, airACT shows the real-time exposure to the different air pollutants at the selected place and offers the possibility of sharing the data in a simple way on Twitter, with automatic messages. The application offers the data of the selected station in the map or, if you wish, allows you to consult a specific pollutant in the map. In addition to direct search on the map, it can also be done via the list of stations, filtering by both a region and a specific location, and by the best or worst air qualities of the stations. Another feature of the application is the possibility of knowing the historical data of a pollutant. You just have to establish the desired period and with the help of an interactive graphic you are shown the surpasses that have occurred in that time slot and share it via tweet. In the menu you can also obtain information about each one of the pollutants, their effects on health as well as recommendations that the organization proposes to the citizens to collaborate in the fight against pollution. 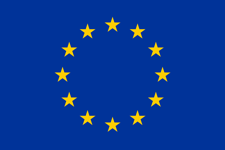 The application is completely free, and can be accessed through airACT.org or downloaded from Google Play on Android devices here. airACT is an application developed by the Universitat Politècnica de Catalunya in collaboration with Ecologistas en Acción, the Consejo Superior de Investigaciones Científicas (CSIC), Guifi.net, Legambiente, Zentrum für Soziale Innovation, GLOBAL 2000 and the Université Blaise Pascal Clermont-Ferrand within the framework of the European CAPTOR project. This entry was posted in News & Events and tagged airact, app, ozone. Bookmark the permalink.